I get pretty excited when I see a trailer for a new Wes Anderson movie, like the upcoming Isle of Dogs. The main characters can be traveling brothers (The Darjeeling Limited) or coming-of-age campers (Moonrise Kingdom). 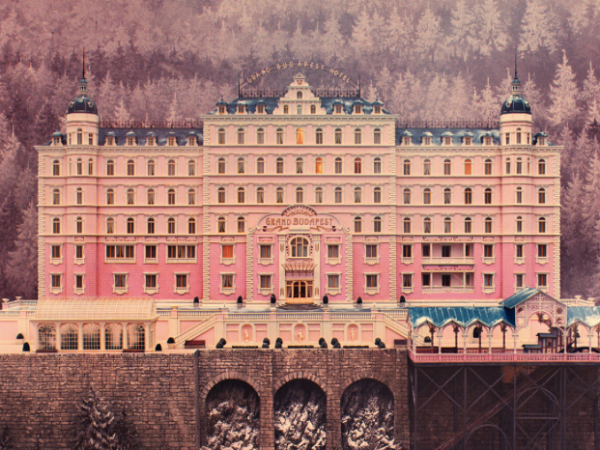 The setting can be a submarine (The Life Aquatic) or a grandiose inn (The Grand Budapest Hotel). No matter the story, I know the film is sure to deliver... Style. Quirk. Musicality. Action. Humor. What could be more chic than a Georgian townhouse? Hello, Door is set in a two-story powder blue charmer. The order of the home's brick exterior and landscaping lets us know that the owners are well-to-do and meticulous. What a delightful stage for some disruptive and perfectly-styled mischief: Enter sly red fox in navy turtleneck, sporting up-to-no-good leather gloves. Soon the fox sets to work creeping and sneaking. But things don't go very smoothly for this criminal. He climbs into the window, only to SPLASH into the kitchen sink. 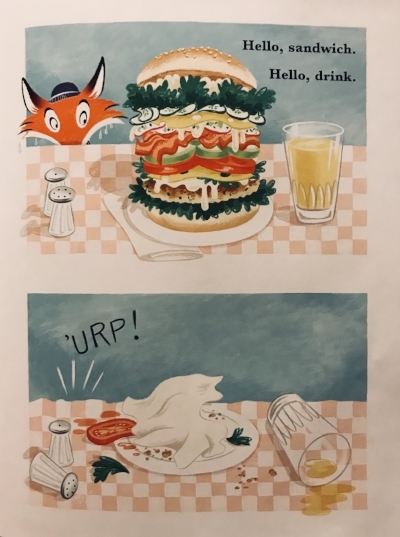 And when he comes upon a delicious sandwich, he obviously can't pass it by. As the fox makes his way through the home, it's clear that his journey will be whimsically circuitous. The repetition and cadence of Goodnight Moon by Margaret Wise Brown is a familiar comfort to kids and parents alike. 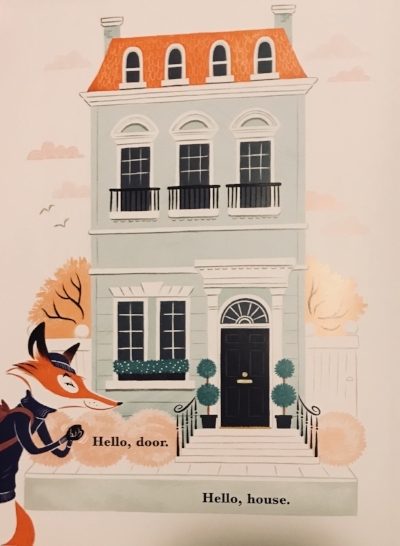 Hello, Door is a very different book, but in a similar fashion, Heim pulls readers through his tale with rhythmic two-word combos: Hello, door. Hello, house. Hello, mat. Hello, mouse. As we go deeper and deeper into the home - discovering valuables and oddities along the way - each rhyming "hello" pair memorably rings and sings. Further talk about this wonderful book would ruin the awesome ending. One way you can discover it for yourself? Win an *autographed* copy!